So in my last post I mentioned that my new year’s resolution is to sew for myself this year. In fact, I’m going to sew myself a whole new wardrobe! This is being driven in part by the Wardrobe Architect Challenge on the Colletrie blog. In part it is also from my desire to learn how to make sewing patterns (for the eventual goal of creating a children’s line of clothing). After umming and awwing over whether to spend the money on a Craftsy course on patternmaking I finally went ahead and did it, and boy am I glad I did! I’m currently working through Suzy Furrer’s pattern making basics class: the bodice sloper. It’s a really enjoyable class, and she’s a very good teacher. 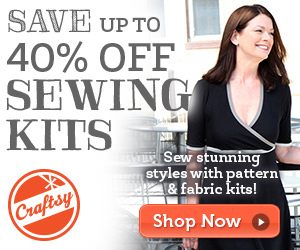 She really walks you through all the steps you need to start making patterns the right way. I like her steady pace – it’s not so slow that I’m bored, or so fast that I can’t keep up. I still end up pausing the course quite a bit while I draw whichever section of the pattern I am working on. If I’m watching the chapter a second time I can make the speed 1.5x normal to get through it quicker (I do this sometimes if I think I missed something). Suzy is pretty good at answering questions on the forum quickly, which makes me think that this class was a really good value. I can upload pictures of my moulage and sloper and get critiqued by the instructor. So the first part of making your own patterns is to create the moulage. A moulage is a *very* tight fitting garment that is like a blueprint of your body. From the moulage you can then create a sloper. The sloper is like the master pattern from which you can create any kind of pattern. It has a bit more ease than the moulage and should be more comfortable to wear, but is still quite fitted. I have finished my moulage, and I’m satisfied with the fit. I’ve decided to use the mockup of my moulage to pad out my dress form. I started by padding a bra and by filling in the holes in the dress form. I’ve seen this done with plastic bags as well, and that might actually work a bit better than the polyfill. I stuffed a bra for her and then added some padding, checking to see that her measurements matched up with mine. I sewed up the moulage but opened up a side seam so that I could get it onto the dummy, after which I hand-sewed the side seam to close it. It looks like there are still a few areas that I need to smooth out. It probably would have been easier if I had some batting that I could layer rather than just the polyfill. The polyfill makes her look a bit lumpy. Ah well, she’ll do in a pinch. So here she is! It looks like I still need to fix up a few lumps, but you can get a pretty good idea of fit from this. Fit dummies don’t come in D-cup so this will have to do! I think she needs a name… any suggestions? Do you have a dress form or a fit dummy? Did your measurements fit perfectly, or did you have to pad her up in a few areas? Would love to hear any methods that are different to mine! *In the spirit of full disclosure, any links to Craftsy are affiliate links, which means that I may get a commissions if you decide to purchase anything from them. I only recommend products that I use and love myself, so I know you’ll be in good hands. In my last post I wrote about how I stayed up really late to create a pair of training pants for Audrey and I also said that if I had time (and if they fit) I would post the pattern today (if I could figure out how to do so). Well, the day has arrived and I’m proud to say that I’ve figured out how to do it! Voila, a download link for a FREE cloth training pants pattern! Please try it out, and let me know if you have any issues putting it together. 3. Cut out the pattern pieces, trace onto your fabric, and cut out the pieces. 4. Stack the soaker pieces together. Zigzag along the edges. Line up the soaker pad onto the WRONG side of the inner fabric. Use a 3-step zigzag to stitch the edges of the soaker pad to the inner fabric. 5. You should have 2 main pants pieces – one in the outer fabric, and one in the inner fabric. Start with the outer fabric: stitch the hip seam (both sides), with right sides together. Repeat for the inner fabric. 6. Stitch the waistband so that it forms a circle, by stitching the ends together. I find that with the rib knit this is easiest to do with a shallow zigzag stitch. Fold this waistband in half lengthwise. 7. Match up the right sides of the outer and inner fabric together, and in between them sandwich the waistband between them. Pin. Stitch, but leave a 2cm gap at the waistband seam. 8. Measure a length of 3/4″ elastic to fit your child’s waist. Insert your elastic band through the gap in the seam (you can use a safety pin to feed it through the length of the waistband). Use a zigzag stitch to close the loop formed by the elastic. Stitch the gap closed. 10. Stitch the leg bands into loops, with right sides together. Fold them in half lengthwise. Stitch the edges of the folded leg band to the leg openings, right sides together. Leave a gap where the elastic will be inserted. 11. Measure your child’s upper thigh for the elastic measurement. Cut 2 lengths of 1/4″ elastic and feed each through the leg band casings. Stitch the ends closed and then sew the gap closed. Trim the seam and zigzag over the edges. (Or, if you are fortunate enough to have an overlocker, you can use that). 12. That’s about it! Put them on your child, and give yourself a pat on the back! The photo is a bit blurry, but this is how the leg casing is finished, with overlocked edges. Go ahead and try it out, then let me know how you got on! I’m looking forward to hearing your comments. A couple of months ago I made a post about sewing cloth training pants. Let me tell you that Audrey absolutely LOVES her training pants! The butterflies and cupcakes PUL is super cute, so she is very eager to wear them. The problem is that I only made a couple of pairs in the small size, so she is not quite big enough to use the rest of them. Two pairs of training pants is definitely not enough to get by, and I really don’t want to spend that much money on disposable diapers. So it’s time to sew some more training pants! For some reason I just love sewing these adorable little pants, and it has become my new obsession! Even though I liked the Babyville Boutique Totally Trainers pattern, I wanted to try something a little different so that Audrey has a bit of variety, but also so that I could cut down on the cost of the fold-over elastic. I designed a pattern that doesn’t use any fold-over elastic and instead has a rib knit casing into which regular waistband elastic is inserted. The waist band and leg openings are made with cotton rib knit fabric. The outer layer is a blue “minky” fabric with white spots (“minky” is a super soft furry fabric). I chose this fabric because Audrey loves her minky Itti Bitti nappies, and I’m hoping it’s because of the texture. I decided to stick with the cotton diaper flannel for the interior and the 4 layers of the soaker. It is now 11:30 pm, and I have finally finished designing and sewing my prototype. I’m that pleased with how they turned out that I’m almost tempted to wake the sleeping child to try them out for size! Yes, I realise it was a temporary moment of insanity, but don’t worry, I have wisely decided to wait until morning! I can’t wait to see what she thinks about her new “big girl pants.” (And I’m equally excited to see if they fit!) To be honest, I’m a bit worried about the choice of fabric – is it necessary for the outer layer to be waterproof like PUL? Of course you could make this pattern with PUL fabric as a substitute, but I just love how soft this fabric feels – I can’t stop running my hands over it. If they fit, and if I have time, I’ll see if I can figure out how to share my pattern with my lovely readers. Alright, I think it’s time I hit the hay. I can vaguely recall the times I used to pull all-nighters when I was in University… but now that I’m a mum staying up past 10pm is a very rare occurrence, and with good reason. I’m a total zombie without my beauty sleep! Does that make me old? Or is it simply the arduous task of bringing up a two-year-old that really makes you need the sleep? I’m gonna go with the latter, and I’ll catch you later. It’s Almost Time for Big Girl Pants! Audrey is not quite two yet, but it seems like she’s starting to get interested in potty training, so I”m trying to gear up for the challenge (scary, right?) I don’t think she is quite ready yet, but just so that I’m prepared when the time comes I’ve made her some training pants. I used the Babyville Boutique Totally Trainers Pattern and the butterfly and cupcakes PUL fabric of the same brand. The PUL for the outside is waterproof and breathable, and the flannel for the soaker and the inner layer should make it absorbent for those little accidents that are sure to happen. The pattern booklet comes with several methods for sewing the pants. You can even make swim nappies with this pattern. I tried a few different styles out, and then settled on a method that was the easiest for me which was a bit of a blend of their way and my own way. I didn’t really like switching the elastic in the leg from sewn-in to fold-over and found that I much preferred either sewing the whole leg opening with regular elastic (sewn into the seam) or the whole leg opening with fold-over elastic. As I am always concerned about value for money I was interested to see just how many pants I could get out of one package of PUL. The answer was seven! I started out making small pants before realising that Audrey will likely be a bit bigger when she actually needs them, so in total I have 2 small pants and 5 medium-sized pants. I think that will probably be enough to get her through potty training as long as I do the wash every 1 or 2 days. I found that my braided elastic stretched a bit as I sewed it in. I had to cut my elastic a little bit shorter than the guidelines so that they fit. My daughter was so excited when she saw them. She waved them over her head and ran around the house when I gave her the first pair. The first test definitely worked – no leaks to clean up, but not so dry that she can’t feel it. There are lots of other options out there for the inner lining and soaker fabric (bamboo, terry, fleece, microfibre, jersey knit). You could probably even up-cycle some t-shirts you don’t wear anymore or towels for the soaker. If you’re interested in buying the materials to make your child’s training pants, you can find them all on my store, www.sewsavvy.com. I love quilts. I love the way they feel, I love the comfortable feeling of snuggling up in a quilt in the cool evening, I love the way each piece is thoughtfully placed and carefully stitched. The thing I don’t like about doing the quilting myself is the commitment it takes to actually finish the darn thing. I posted last time about a frustrating first effort in quilting and I think I’ve gotten over a few of the initial hurdles (i.e. figuring out how to put a border on). I have now sandwiched my batting between my backing fabric and my quilt front (with the ever patient help of my mother in law, Debbie, and a few thousand safety pins). 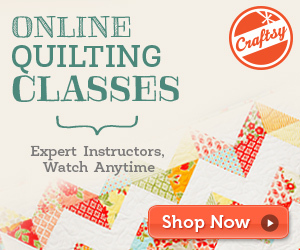 I’m now on to bigger and better things: the actual ‘quilting’ part. I decided to do both machine and hand quilting. I machine stitched around each of the squares and along the border – all in the ditch. Then I used a washable fabric marker to mark out large circles around each square with a 6-petal flower in the centre. I made my own stencils using my Cameo Silhouette. I’m not sure if I purchased the petal design or if it just came with my Silhouette library. When I saw it I thought it would be perfect. It’s a very simple design, and very easy to sew, but like I said, the commitment is a big one when you decide to hand-quilt. I’ve finished about a third of this quilt so it is hard to see the end in sight! these are the quilting templates that I made using the Cameo Silhouette. It was so easy just to measure the size I wanted, put it into the software and let the machine cut it out. On other exciting news, I’ve decided to start a business selling patterns and some haberdashery for children’s garments and toys. I’m hoping for a July 1st launch of my website, www.sewsavvy.com. I’m thinking I might also start selling at the local baby and kids market here in Mackay. I’ve made a big order of patterns, books and supplies and I can’t wait to get my hands on them!! One of the products I’m most excited about at the moment is the Babyville Boutique Totally Trainers pattern. Audrey is not quite ready to potty train, but she has learned how to take her diaper off. Anytime you’re not looking she manages to rip her diaper off with one hand and run around excitedly, just daring you to chase her. I’m looking forward to making the trainers, because they will absorb more than plain underwear but be a bit more difficult to remove than disposable diapers. Hopefully it makes the transition to potty training just that little bit easier. I’m currently working on a pattern of my own design – it’s a baby mobile made from felt hot air balloons. I’ve got four of the hot air balloons completed, and I just need to add some baskets and the hardware. I think they are adorable! There is a soon-to-be born baby I have in mind who will be the lucky owner of my prototype mobile, and who is (as of yet) the gender-neutral muse for this project. Mother, teacher, chauffeur, wiper of snot, kisser of booboos. Crafty mama turned blogger and web developer. Love to post about sewing children's clothes and toys and just life with a toddler in general. Do you want to start a ‘mommy blog’? Want to keep up with what's going on at ToddlerBlues? Then Follow me!